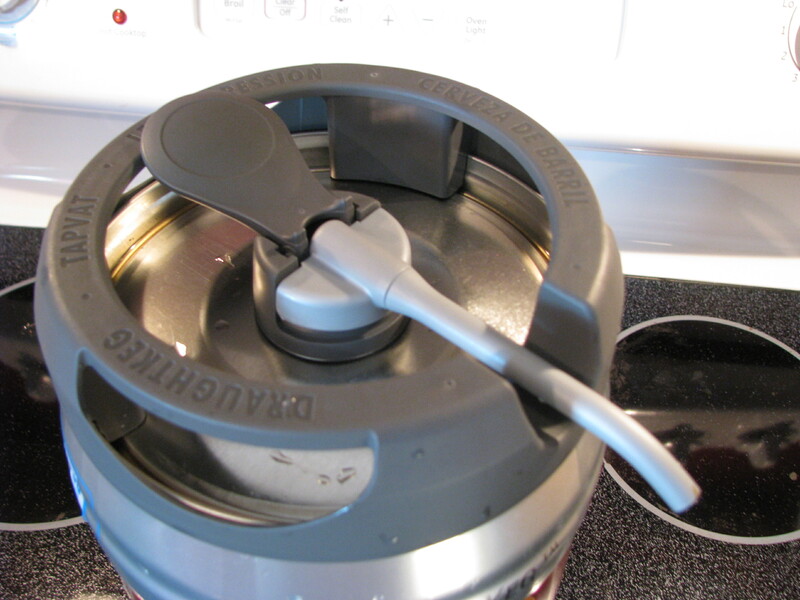 DraughtKeg Disassembly | Technically, Brewing. My family has four refrigerators. One obviously in the kitchen, one I bought for my computer shop, one in my wife’s classroom, and one tiny fridge I picked up for $25 to put my lunch in at work. I had this tiny refrigerator in my office for a couple of years and decided to take my shop fridge to work because it’s bigger. Now I have this small and nearly useless fridge in my house with few ideas about what to do with it. 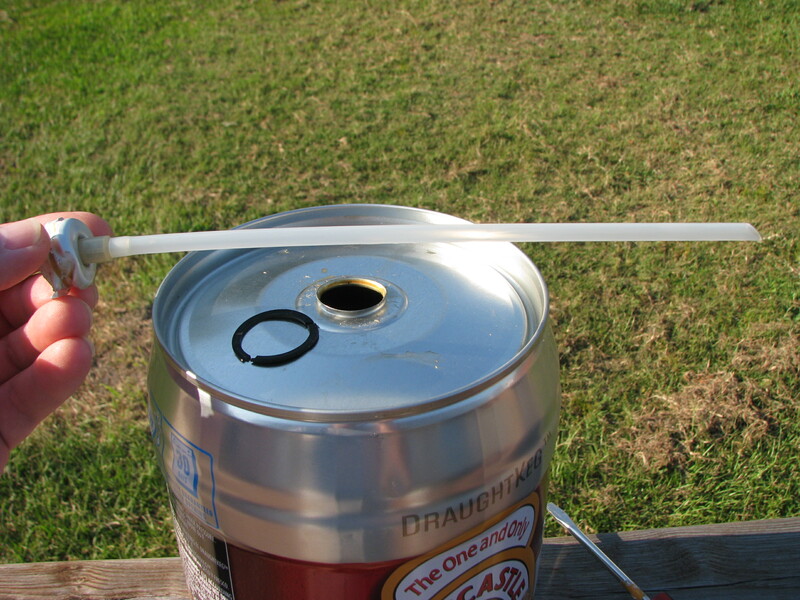 The DraughtKeg is a proprietary 5-liter package of beer that appears to be from Heineken and is pressurized with an internal CO2 cartridge. 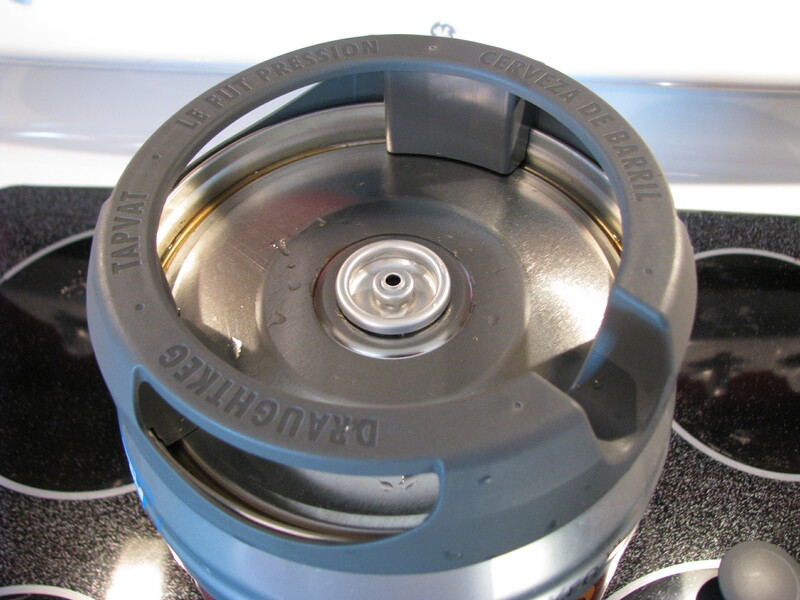 It comes with a few plastic pieces used to serve beer directly from the keg, but it is also compatible with the Krupps BeerTender appliance. 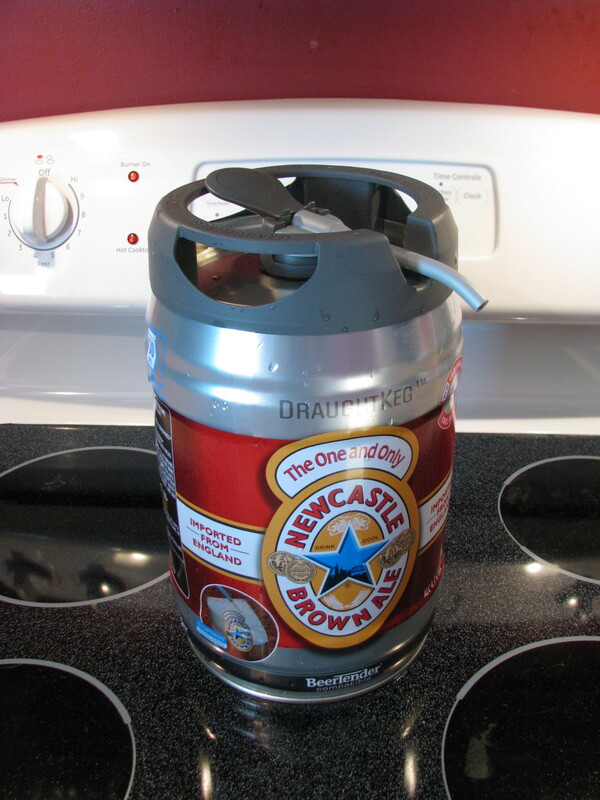 There are several other brands of beer available in DraughtKegs, but I’ve only seen Heineken, Heineken Light, and Newcastle Brown Ale with my own eyes. 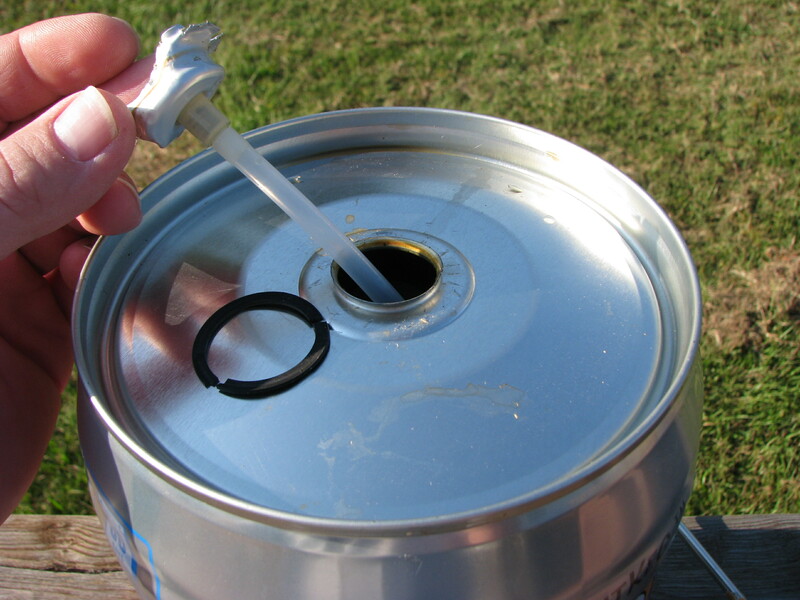 I’ve noticed the DraughtKeg in stores for a while now, but since my mind has been on kegging homebrew lately I wondered if the keg itself could be reused for kegging homebrew. It turns out that it’s not, but if you ever wondered what’s inside one of these you don’t have to spend your own $20 on one to find out. It's a pretty simple two-piece design. 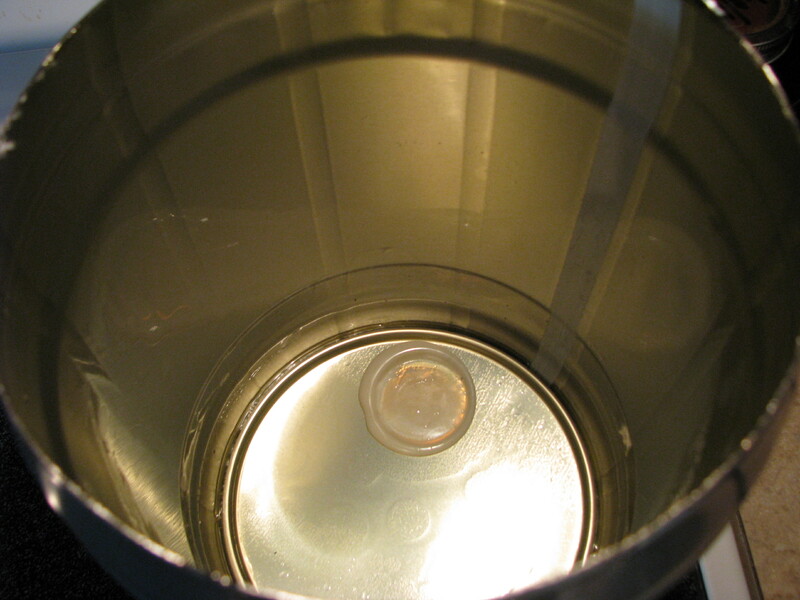 Tap removed. 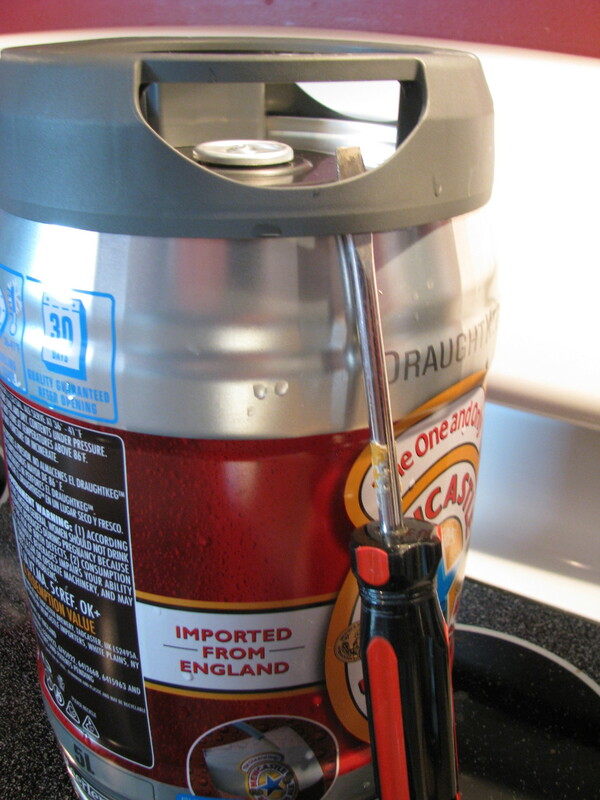 This is how it comes; the two-piece tap is packaged on top of the keg but is easy to install. It should pop off with ease. 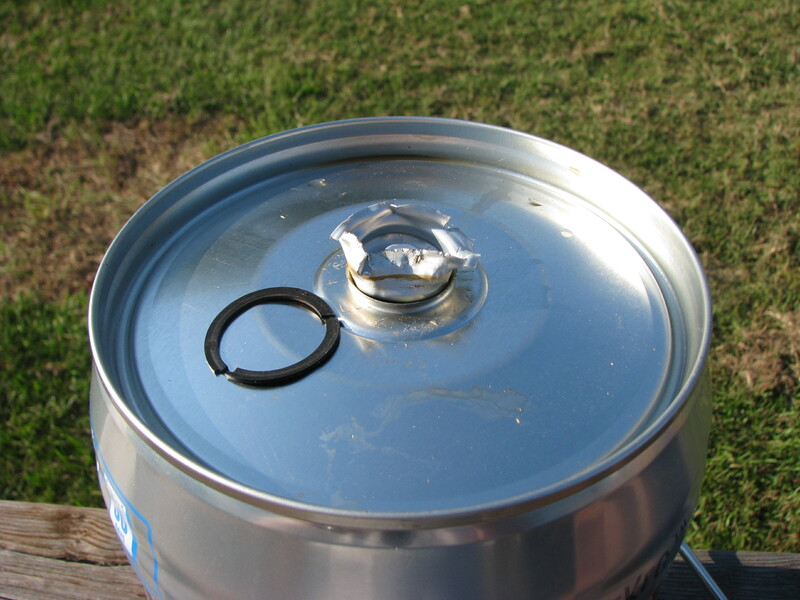 I used pliers to squeeze the aluminum insert for removal. 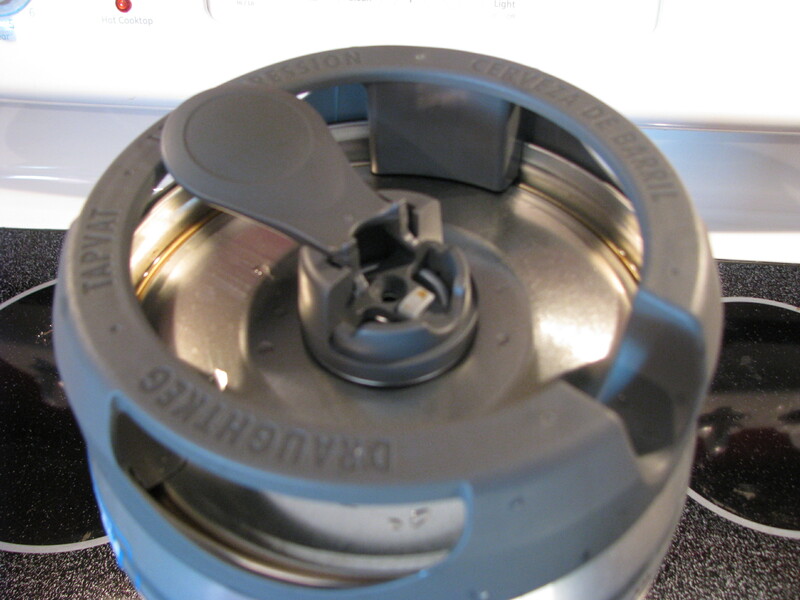 There is a thin gasket under the lip of the insert. 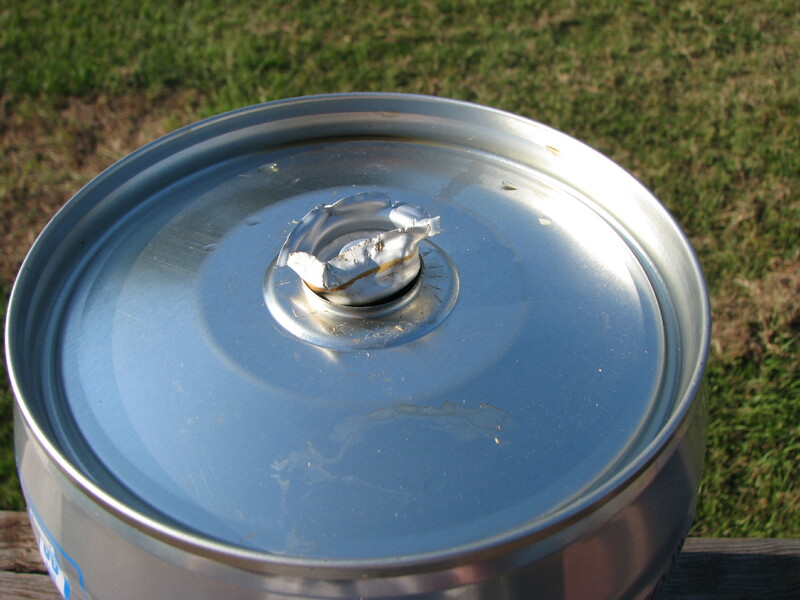 This is the carbon dioxide cartridge. It can't be removed through the hole. The cartridge is also glued to the bottom. 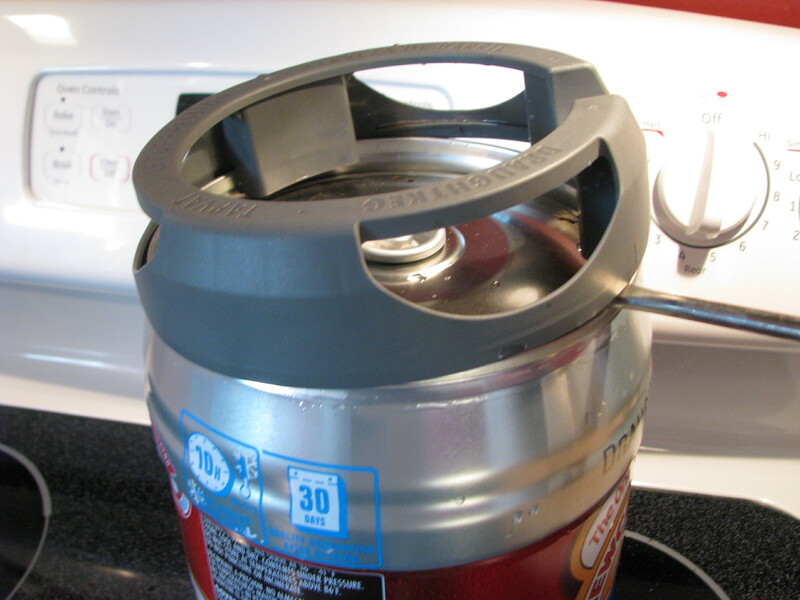 While the DraughtKeg is convenient, it’s not eco-friendly. 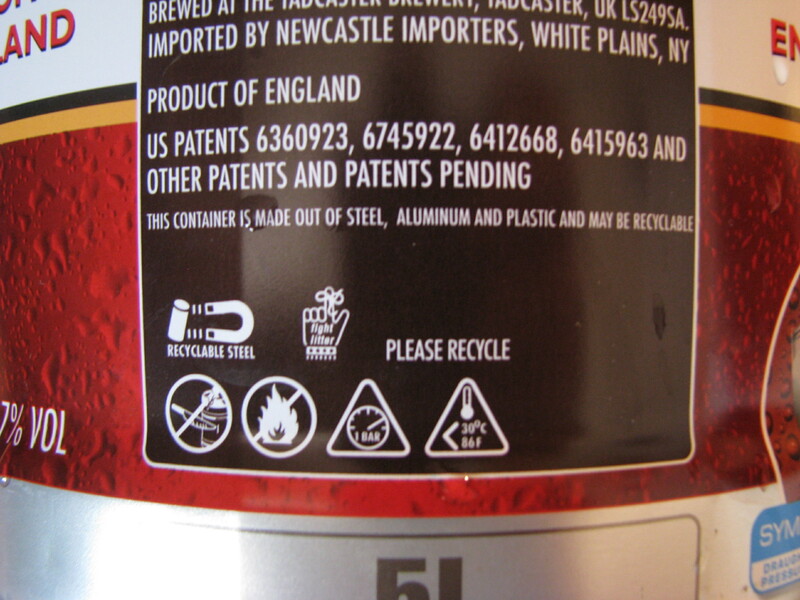 It’s made of recyclable steel – which is perfectly fine – but it would be nice if it were refillable. I’m not asking them to change it, but I’m not encouraged to buy another one. 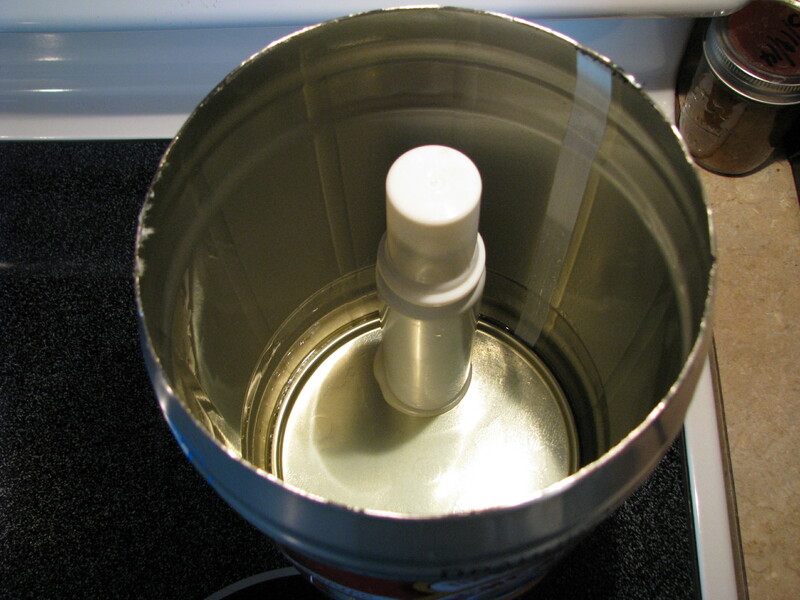 My next bit of research for this little endeavor involves a 2.5-Gallon Cornelius Keg, but that may be too big for my tiny fridge. We’ll see.